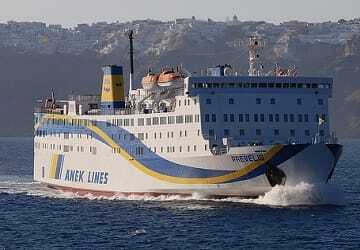 The Piraeus Thira ferry route connects Athens with Cyclades Islands and is currently operated by 5 ferry companies. 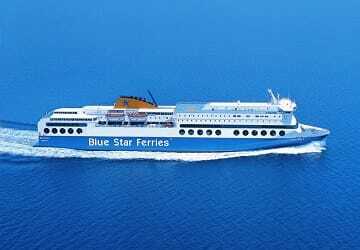 Blue Star Ferries operate their crossing up to 13 times per week, Anek Lines 2 times per week, Zante Ferries 3 times per week, Sea Jets 4 times per day & the Golden Star Ferries service is available up to 7 times per week. 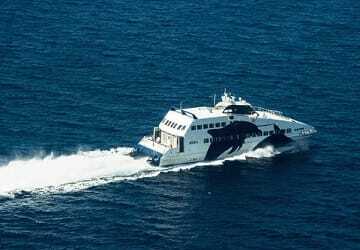 There are a combined 53 sailings available per week on the Piraeus Thira crossing between Athens and Cyclades Islands and with 5 ferry companies on offer it is advisable to compare all to make sure you get the best fare at the time that you want to travel. Prices shown represent the average one way price paid by our customers. The most common booking on the Piraeus Thira route is a car and 2 passengers. 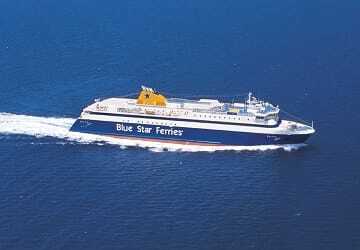 "Blue Star Delos. 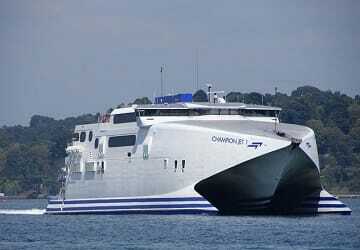 Super Ship. 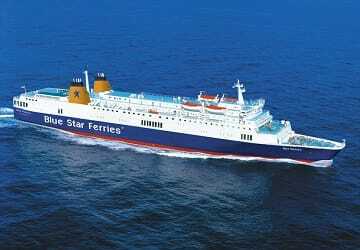 Super Service"
We boarded at piraeus on time with no problems, excellent service, great seats and food highly recommend. Zante ferries...thanks a ton...at last minute no ferry was available when we got zante...we booked 2 first class seats from Athens piraeus to santorini...first class is fantastic...quite and very few people...had good food too..zante should have more ferries for the route than just 3 pet week..also wifi is needed on board..lastly, our ship was at 7:10 am and latest check in time we 2 hours before...we reached just 20 minutes ago and they accommodated us...thanks for everything zante.. 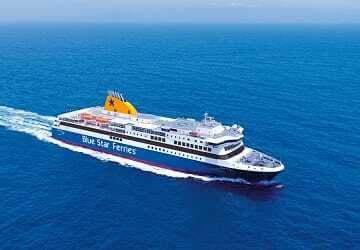 I paid the extra money to get the fast ferry from Athens to Santorini and would definitely say that it is worth it. Not just for the time saved- which is significant- but also because the ferry is newer and less bumpy. I was impressed with the facilities on the ferry and the fact that I was allocated a seat, a welcome sight after waiting in the sun for a while before boarding. My friends got the slow ferry and totally regretted their decision. The ferry is really beautiful and it made our trip comfortable. The only thing is that I find ridiculous that there is no free WiFi, I believe that nowadays is ridiculous to pay for that as an extra service.